The text and screenshots herein are copies of Lytro’s official support articles, provided here purely to help remaining Lytro Illum users experiencing problems. We have only included the most relevant support articles for this purpose. What are the specs on the Lytro Illum camera? How is the Lytro Illum lens different than traditional camera lenses? Does the Lytro Illum have Image Stabilization? Does the Lytro Illum support video? What is the difference between XRAW and RAW files? Is the Lytro Illum Weather Sealed? Can I print images from the Lytro Illum? What is the resolution of a 2D image exported from the Lytro Illum? Software: Includes a free desktop application for importing, processing and interacting with living pictures from the camera. Software requires Mac OS 10.8.5 or higher or Windows 7 or 64-bit Windows 8. The Lytro Illum lens was designed to be smaller, lighter, and more affordable for end-users than traditional camera lenses. This is made possible by using our knowledge of the light field to correct aspects of the final image using software opposed to optics. This lens isn’t drastically different than a normal lens, but it was custom designed to work in tandem with our computational abilities to achieve the best light field images possible. The Lytro Illum lens is not interchangeable. The Lytro Illum’s frame rate is 3fps in Continuous Drive. NOTE: A memory card with slow write speed can limit performance. We recommend a memory card with the fastest read/write speed available to guarantee best performance. The Lytro Illum’s ISO range is 80- 3200. The Lytro Illum does not support image stabilization. Lytro Illum is equipped with a very fast F2 lens and therefore can take pictures at a faster shutter speed – something that substantially helps in reducing camera shake. Lytro is always exploring how to improve image quality under all conditions. Image stabilization is one of many different techniques that we are looking to improve using light field and computational photography. The CMOS image sensor in the Lytro Illum responds to light across the visible spectrum from 400nm to 700nm. The sensor package employs a special filter to remove unwanted effects from UV light shorter than 400nm and IR light higher than 700nm. Note: This filter cannot be removed from the Lytro Illum. Lytro Illum does not support video capture. The Lytro Illum comes with a lithium-ion battery, USB3 cable, and quick charger. Place the battery in the provided quick charger and plug it into a standard 110- or 220-volt, 50-60hz electrical outlet. With the battery in the Illum, use the provided USB3 cable to connect the camera to a powered computers USB port or a USB wall charger. A fully discharged battery may take four or more hours to charge completely. When charging using the provided USB3 cable, the battery icon on the cameras LCD screen will animate to indicate charging. When charging on the quick charger, the LED on the charger will Illuminate. When charging is complete, the LED will turn off, indicating the battery is fully charged. A blinking LED indicates a power or connection problem, such as the battery not being inserted properly. We have found the battery to last at least half a day of consistent shooting, and about 400 pictures. To maximize battery life, reduce instant review time. The battery compartment is on the underside of the camera. Hold the camera upside down and slide the thumb-latch to one side to open the door. Insert the charged battery, hold the door fully closed, and slide the latch back to the locked position. 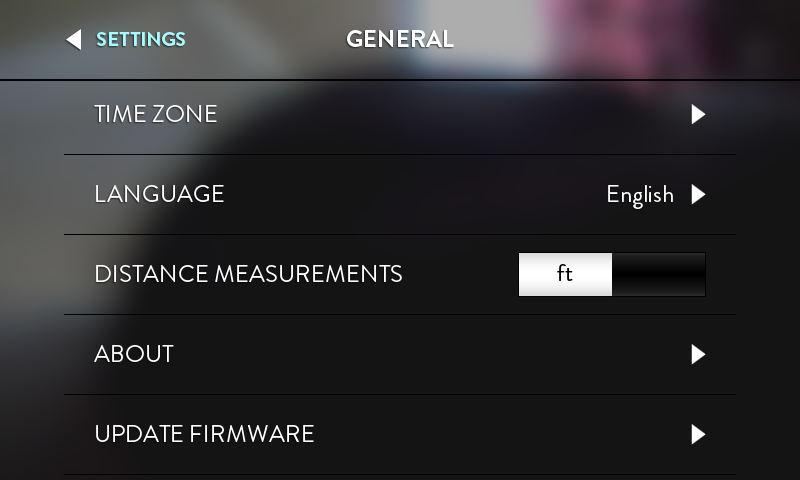 Your Illum camera has two image file format options in Settings > File Formats: RAW (default) and XRAW. We’ll go over the differences and why you might and might not want to use them. NOTE: You may also want to read about Desktop 4 and Pairing Data. NOTE: With Desktop 4.1+, you can save as XRAW postcapture, in Lytro Desktop. Lytro RAW is the default file format. It contains all the light field data your Illum captured, and all the information that Lytro Desktop needs to process the image. It’s about 50Mb in size per picture. This format results in the best performance on your camera, and unless you need XRAW (see below) you should stick with RAW. Lytro XRAW is identical to RAW, except your camera’s specific pairing & calibration data is added. It’s about 110Mb in size. WARNING: because this format is 2x the size of RAW, your camera must write 2X the data and thus post-capture write speeds will be 2x longer, negatively affecting frame rate performance. You will also fill up your SD card twice as fast. We recommend you only use XRAW as needed, rather then as the default format. So, when do you want to use it? If you want to provide someone else with a raw image that they can view in Lytro Desktop, you’ll want to give them an XRAW file, otherwise they will not be able to view your image in the highest image quality possible. They can still view it, but Desktop will have to display without having your specific camera’s calibration data, and therefore, image quality will suffer. Make sure you have at least 1 (one) picture on your SD card! Decide whether you’d prefer to update via USB3 cable, or directly from the SD Card. SD Card – Take out the SD Card of your Camera and plug it in your Card reader on your Computer. Otherwise, attach your camera via USB3 or insert your USB card into your computer to launch Lytro Desktop, and note the prompt that an update is available for your camera. 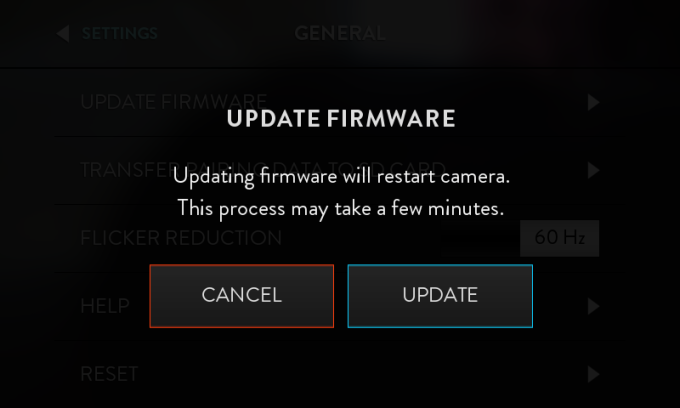 Select ‘Update’ and wait for the firmware update to be copied to your SD Card. Remove the SD Card from your computer and put it back in your Camera. Flicker Reduction – New ‘Auto’ mode sets flicker reduction settings based on current lighting conditions. Adjustments to the on-camera flash compensation menu have no effect on flash functionality when the flash is set to Manual or Repeat mode. These menu items will be grayed out next version. 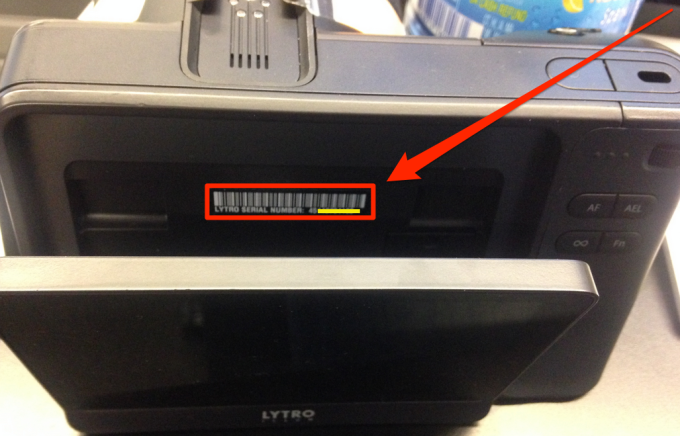 Flag – flagged pictures are processed first in Lytro Desktop 4.1. Mark images on-camera for priority processing and easy sorting in Desktop 4’s Flag View. BCS-2741 – Alternate lens ring behavior is not saved after a power cycle, though it still appears to be selected in the Settings > Controls > Lens Rings menu. 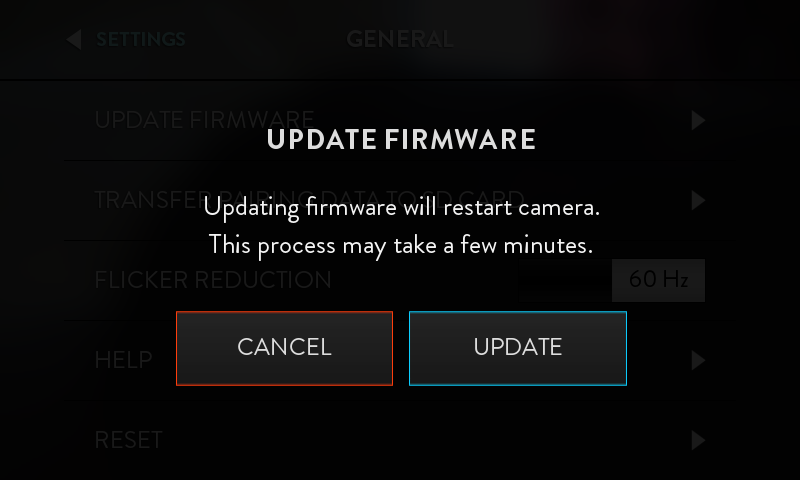 This will be corrected in the next firmware update. The Lytro Illum captures light in a unique way that is unlike other cameras in the market. Since we are evolving a new imaging technology that involves 3D capture we must balance traditional 2D image quality that users have become familiar with, and access to the 3D light field, which makes Lytro Illum image files so desirable and unique. What is the megapixel specification of the Lytro Illum? Light field imaging works differently then traditional photography and cannot be measured using the traditional megapixel specification users are familiar with in traditional digital cameras. The Lytro Illum has a 40 Megaray CMOS sensor, if a 2D image is extracted from a living picture captured on the Lytro Illum it would be about 4 Megapixel in size. Some of my subjects are sharper then others, why isn’t everything sharp when I click on it? The ability to change focus doesn’t mean that everything in a living picture can be focused on in every shot. The Lytro Illum works by capturing a refocusable range instead of a specific focus point. This means that composing your shots now involves additional attention and thought for how this range will effect your ability to refocus and adjust your images later. By hitting the Lytro Button near the shutter release users will reveal a depth histogram on the LCD display that will assist them in determining the optimal focus range. Like traditional focus, the refocusable range is adjusted using the cameras focus ring on the lens. Adjusting the zoom ring will also change how subjects fill the focus histogram. Some of my images have artifacts in them, can this be prevented? How can I remove them from my living pictures? There are a few situations where the sensor can sometimes not determine depth of an object properly. This can result in artifacts that are distracting from the intended effect of a living picture. To avoid artifacts we recommend capturing several pictures (ideally with different angles and focal lengths). These issues are particularly problematic with very thin subjects such as a wire fence, and also with objects that are visually uniform at different viewing angles such as a blue sky. To reduce the chance of artifacts when taking living pictures of objects like this users should get physically closer to the object (if possible) in order to have enough information to determine depth in the image. How large can I print images from a Lytro Illum? Living pictures are meant to be viewed interactively in a digital format. When seen this way users get the full 3D functionality of living pictures which includes refocusing, perspective shift, and the ability to tell a story through animation effects. Users can export 2D .jpg or .tif format images at a specific focus for printing. Using these files we have found that users have produced professional quality prints at sizes up to around 8″x10″. No, the Lytro Illum does not have weather sealing. The optical path has been designed for everyday use and is nominally sealed against dust and particulate, but there is nothing in the way of water protection for the body. We suggest that anyone shooting in adverse conditions or inclement weather use a weather-resistant bag designed for use with larger cameras, such as rain covers designed for SLRs. Condensation in the lens is a potential issue that is normal and expected if the camera is taken from a cool area (an air-conditioned room, for example) to a warm area (outside on a hot day). Virtually all DSLR lenses are subject to this issue. A workaround to this issue is to enclose the camera in an airtight container (say, a ziplock bag) while in the cooler environment, and allow it to warm up before removal; this should take care of any lens fogging issues. Absolutely, but: the primary purpose of the Lytro Illum is creating dynamic, interactive living pictures for digital display. The Lytro Illum offers much greater resolution, available pixel information, and creative control than the first generation Lytro camera, resulting in a greater range of print options and higher available print quality, but its primary purpose is still creating living pictures, not printing 2D images. It is not a replacement for your DSLR’s output. That being said, of course, there are many reasons to want to print, and you can choose a focus point for your image and export a static 2D image. The peak output of such a 2D export focus point is 4 MP, and its files have enough pixel information to create, in our opinion, great prints up to 8 x 10. Depending on your personal needs, printer types, sharpening settings, and DPI choices, larger prints can be made. You can choose a focus point and export a 2D image from your original light field picture. The resulting 2D image will be a peak output of 4 Megapixels. Peak output depends on a number of factors including how you’ve composed your shot, and the focal point that you select for output in your image.